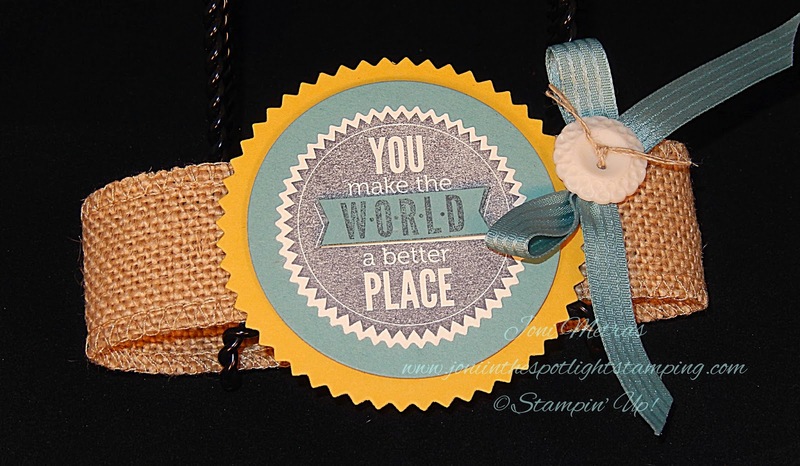 This week over at The Paper Plunge we are working with ribbon! Now there are so many different things you can do with ribbon! I've been wanting to do a specific card for awhile & thought this would be a great way to show off some ribbon!!! It's called a "Petal" card! The ribbon on this one is used not only for embellishment, but also for a belly band!!! There are 3 types of ribbon on this card. The first, the belly band, is made from our 1 1/4" Burlap Ribbon. Love that stuff! The little bow is made from the Lost Lagoon Satin Ribbon. Did you find the 3rd? Yup, it's the Linen Thread in the Very Vintage Designer button!!! 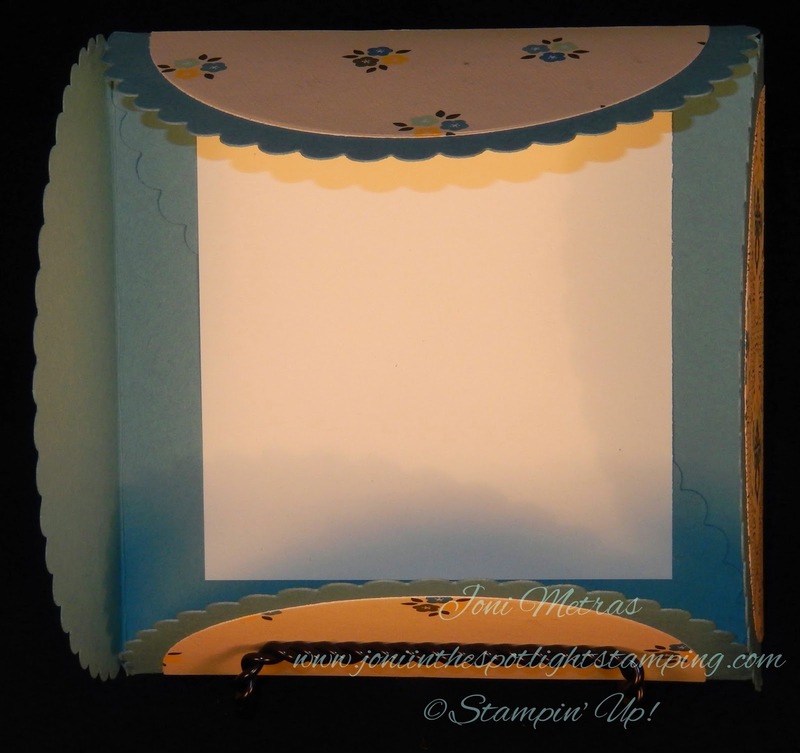 The beautiful paper is from the Moonlight DSP Stack in our Annual Catalog! 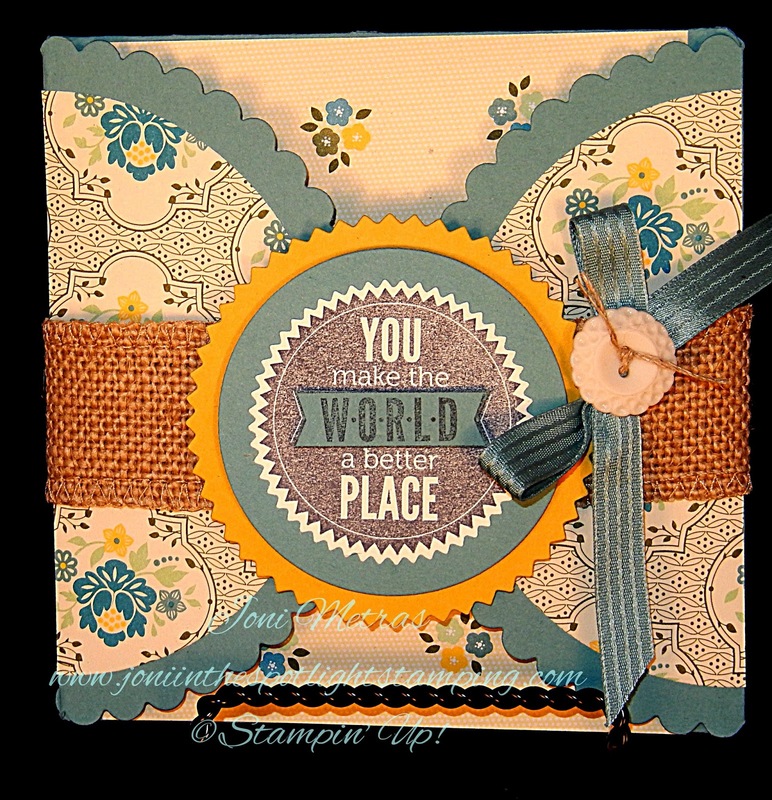 So hop on over the The Paper Plunge & see what the other designers have created for you with ribbon! I know you'll be pleased & get some good ideas!! !